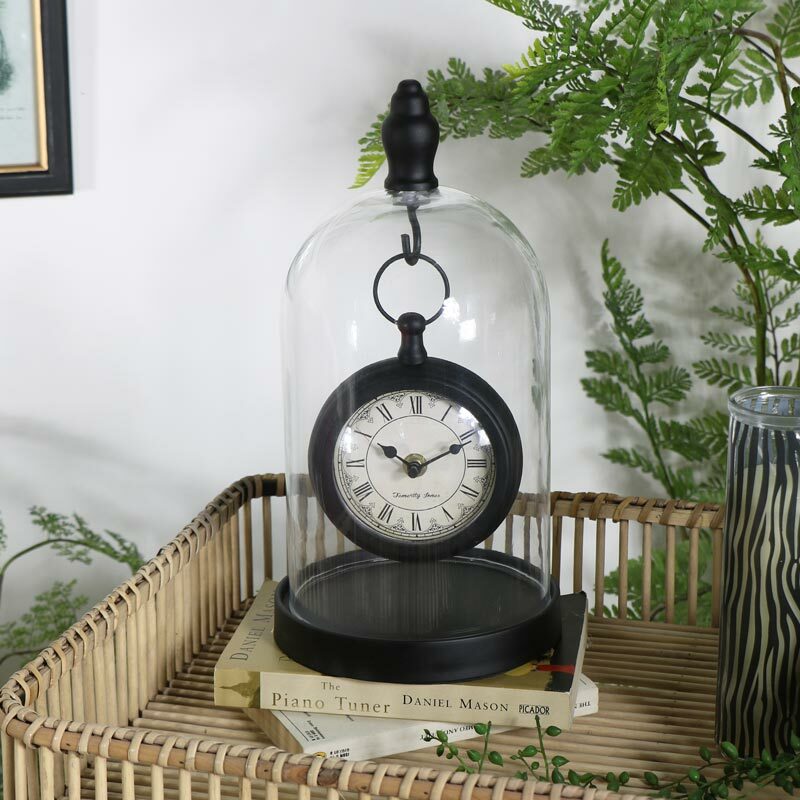 Fantastically quirky pocket watch style clock suspended in a glass dome. This vintage style clock is a stylish piece with a classic Roman numeral display, a great gift idea. 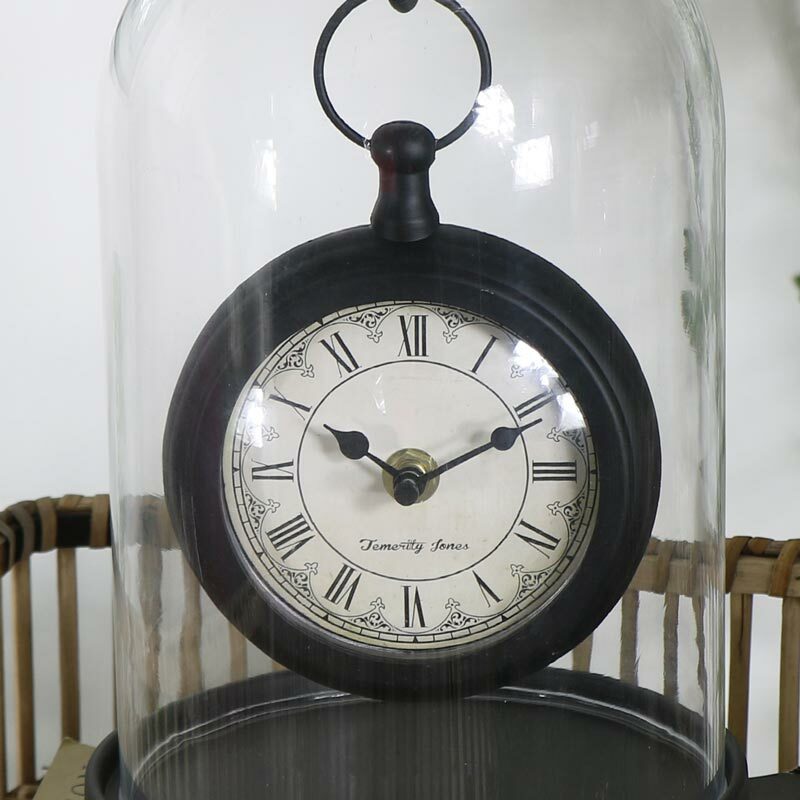 Displayed in a glass cloche style dome, this will look perfect placed in the centre of the mantelpiece. A stylish way to ensure you're always on time. Wonderfully vintage style, this will make a great gift idea. 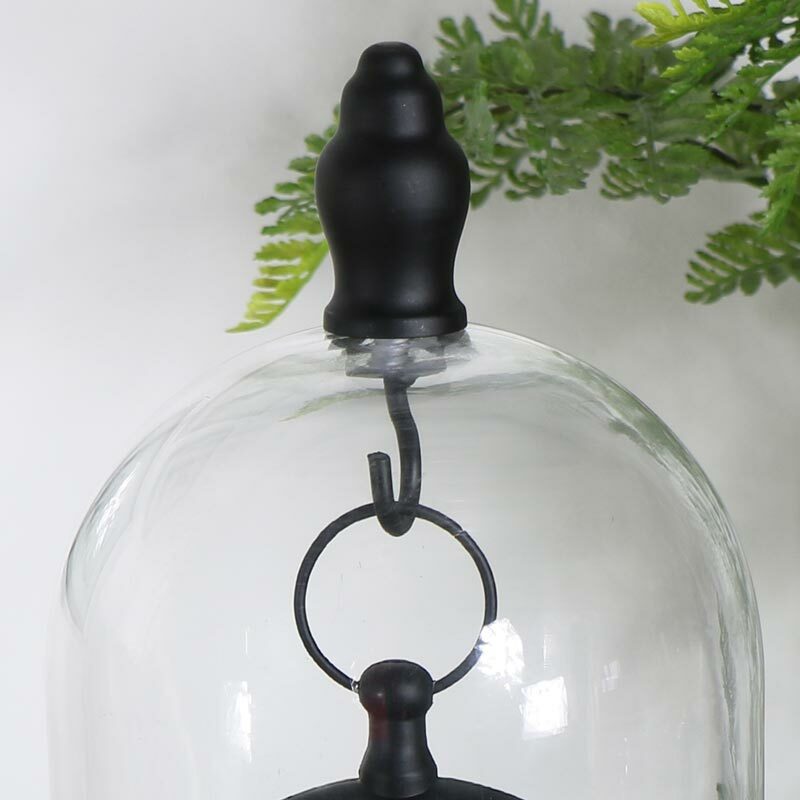 The clock is made from metal in a black finish with a glass dome covering. Takes x1 AA battery (not included). We have a fantastic range of mantel, shelf and wall clocks in a range of styles and designs. A perfect gift idea and a great way to accessorise your home.